After all the Christmas festivities and a New Year’s celebration, January is always a little bit depressing for me. You should take down your Christmas tree, the weather is usually poor and days are short and dark. So, I decided that this year I will overcome January depression by traveling half the month. And it worked really well! The year started with three days in Paris. It was a solo, sort of a business trip on which I was researching life of Impressionists in Paris. I went to some of the places they were living in and to museums with the best collections of their work. It was also my second solo trip and once again I realized I love it. I’m enjoying having a lot of time for myself. And I wasn’t only enjoying in discovering a new destination, but also in learning more about myself. Beside Impressionism, I also wanted to see some of the places where Coco Chanel lived and worked. I saw her house, first shop she opened and the place where she loved to take breaks – now famous Angelina. I will write a blog post about following in her footsteps in Paris in the following weeks. 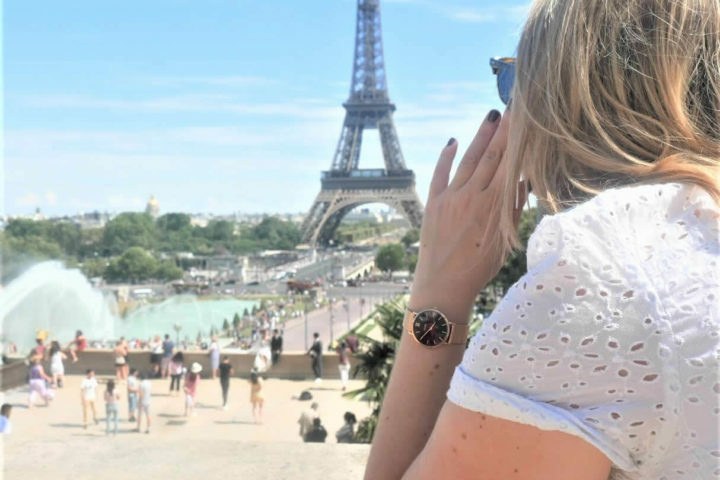 The thing I noticed for the first time in Paris (maybe because I was traveling solo, ha?) was the street art. I’ve seen some great pieces there that I genuinely loved! You can see some examples from Marais and Montmartre in the photos below. This was a trip I was especially looking forward! After almost two and a half years, I spent four days in Rome with Marijan alone. And don’t get me wrong here, I adore my son, but I was really missing being alone with my husband, as well. We do occasionally go to the movies together, but this was the whole four days only for ourselves. Rough plan was to just relax, walk around the city and enjoy Italian cuisine. So, we learned how to made pasta and a typical Italian dinner with our lovely host Roberto. We went to the great tour in Vatican museum and St. Peter’s Basilica. We saw some of the Ancient Rome. And just enjoyed our time there. We talked, laughed, ate a lot and had a great time in Rome! And, of course we already started planning a new trip for only two of us. A day after I came back from Rome, I had a new trip coming over – Zagreb. It’s my hometown and my family is living there so the plan was for me and Karlo to spend a week there. We were so excited about it, because of all the snow that fell in that week in Zagreb (we haven’t really seen a proper snow in the last three years here in the Netherlands). It was the first time I traveled with Karlo alone and I have to say it was actually much easier then when all three of us are traveling together. Am I overcoming my fear of flying? So, it was quite a month! Filled with traveling. Getting four flights in only ten days during this January also helped me a lot in dealing with my issues with flying. I was reading a lot about it lately and tried some tactics that seems to work for me. I am still a nervous flyer, but it’s definitely getting much easier to be in a plane. It looks like February will be more quiet in terms of traveling, but I’m planning to catch up with my blogging. I am also working on many new things over here. I will start to post twice per week, so from now on you can expect new blog posts each Tuesday and Friday. A blog will also get a little make over during this month. But, the biggest thing is that I am planning a very nice surprise for you guys soon. Let’s just say there will be a lot of great presents included. So keep an eye on the blog!